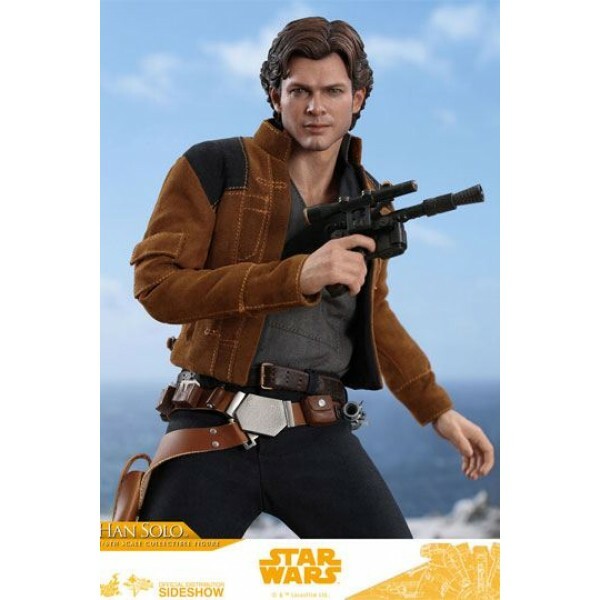 Han Solo rose from an impoverished childhood on the mean streets of Corellia to become one of the heroes of the Rebel Alliance. 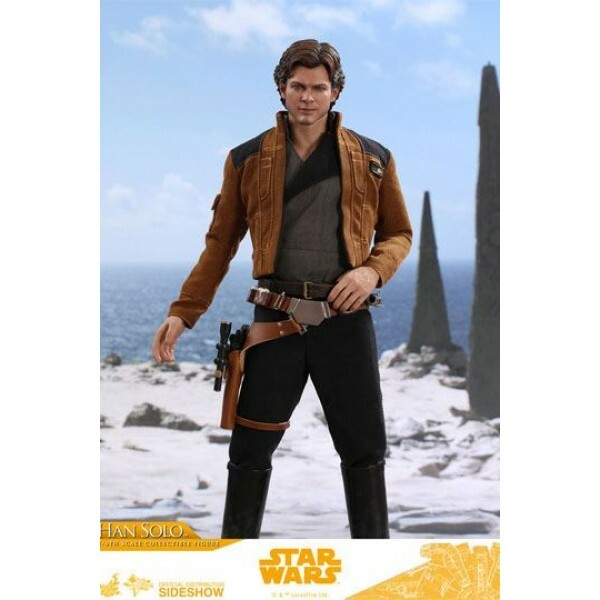 In the latest chapter of the Star Wars saga, fans can finally learn about the past of Han Solo when times were tough under Imperial rule. 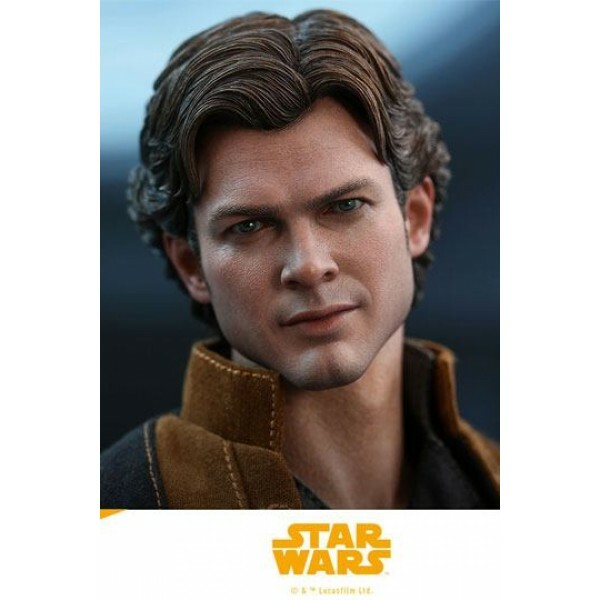 Through a series of daring adventures deep within a dark and dangerous criminal underworld, Han Solo meets his mighty future copilot Chewbacca and encounters the notorious gambler Lando Calrissian, in a journey that will set the course for the rise of one of the Star Wars saga's most unlikely heroes! 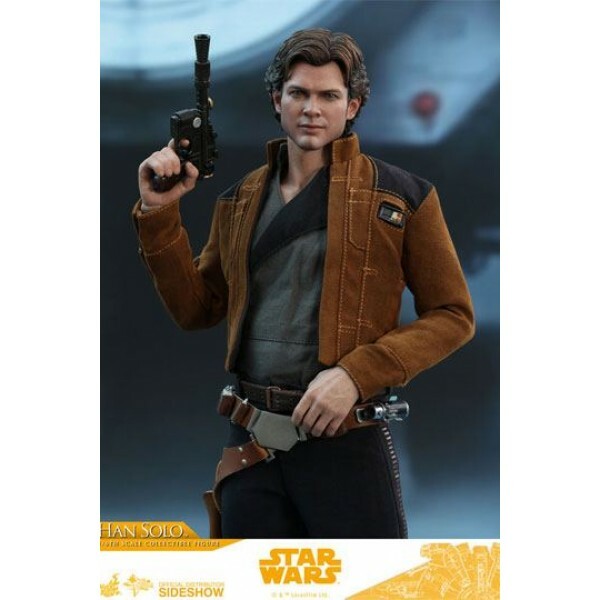 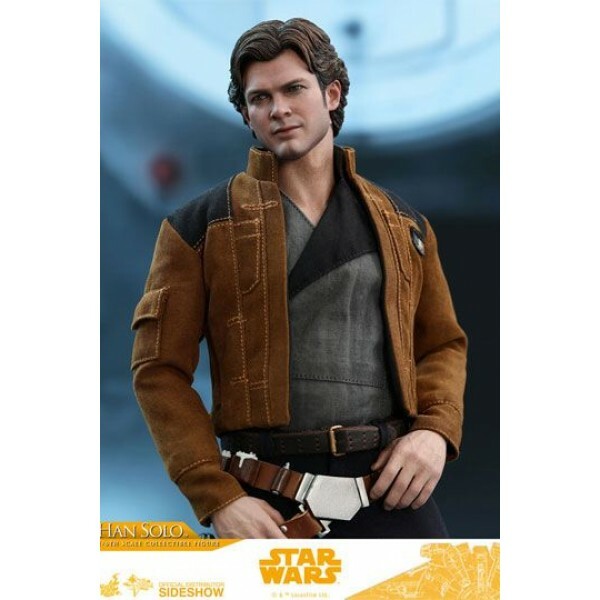 Sideshow and Hot Toys are thrilled to present the young Han Solo Sixth Scale Collectible Figure from Solo: A Star Wars Story. 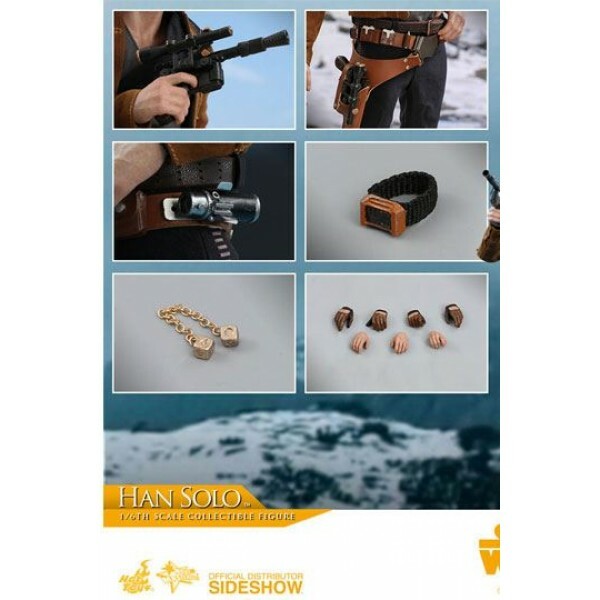 The movie-accurate sixth scale Han Solo collectible figure is meticulously crafted based on the appearance of Han Solo in the movie, featuring a newly developed head sculpt with remarkable likeness, a specially tailored outfit, the iconic blaster pistol, an assortments of accessories including the symbolic gold-colored lucky dice, a wristwatch, a communicator and a specially designed figure stand. 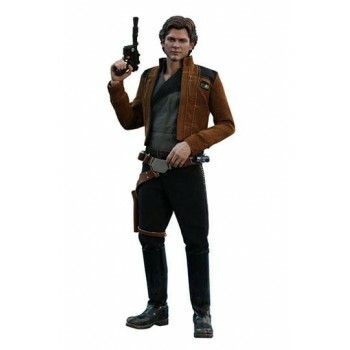 Don't pass up on the opportunity to pick up the charming smuggler Han Solo for your treasured Star Wars collection!